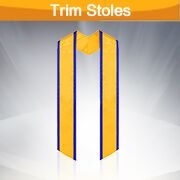 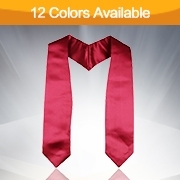 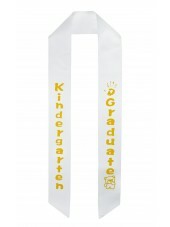 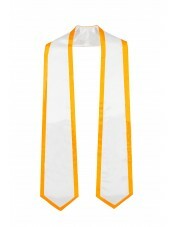 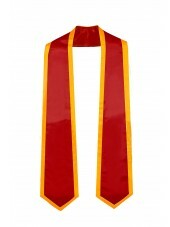 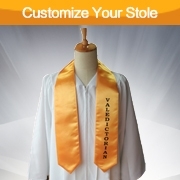 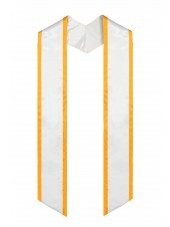 Two kinds Imprinted Graduation Stoles and Plain Stoles sold in GraduationMall. 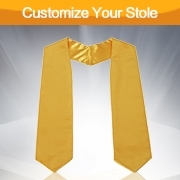 Plain Stole refers to adults stole and children stole with different stole length. Imprinted Stole we have in stock also includes adults and children, two kinds stole. 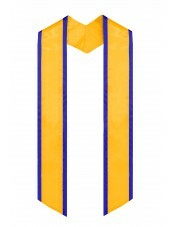 For adult imprinted stock stole, we have four kinds of text, which are “Honor”, ”President”, ”Salutatorian”，”Valedictorian”. 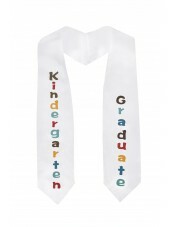 In addition, for children imprinted stole, we have red, gold, royal blue, purple, forest green of five colors printed “2017 Graduation”. 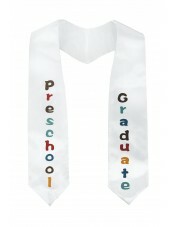 Custom Graduation Stole could be customized in six styles. 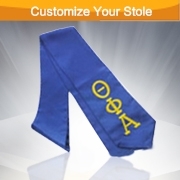 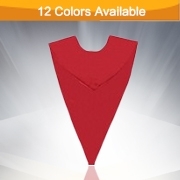 All custom parts range from stole color, stole length, piping color to print & embroidery.